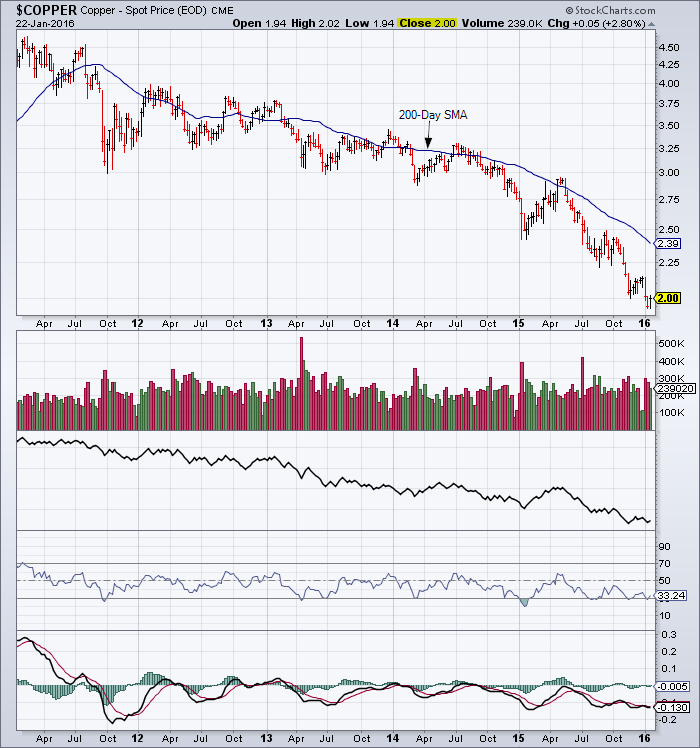 Major, intermediate and near-term downtrend for copper. The only positive on this chart is the increased probability that copper can hold $2.00. This entry was posted in Other Topics and tagged chart, copper on January 24, 2016 by Trader.